Check out the Planes: Fire & Rescue soundtrack tracklisting! 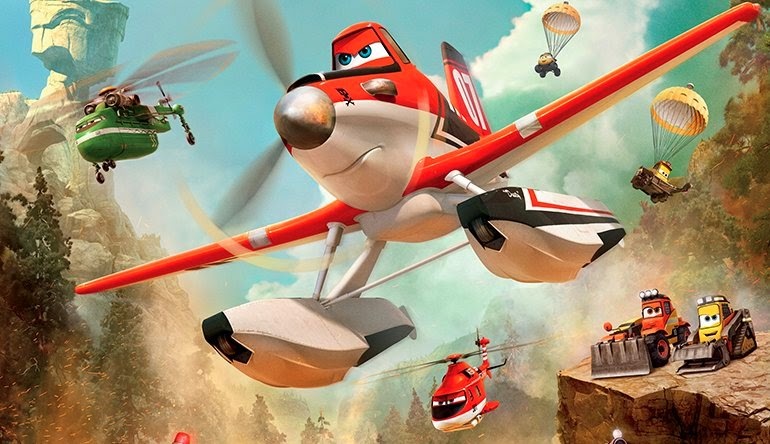 Disney’s Planes: Fire & Rescue is out now in cinemas and is the perfect summer holidays movie! The film stars a talented crew of elite fire-fighting aircraft who are tasked with protecting the Piston Peak National Park from raging wildfires. World-famous air racer Dusty joins forces with veteran fire and rescue helicopter Blade Ranger and his team The Smokejumpers for their biggest challenge yet! The film’s soundtrack is also out now and features a score composed by Mark Mancina with contributions from Bruce Hornsby, plus two song performances by Brad Paisley and the track ‘Still I Fly’ by Spencer Lee.